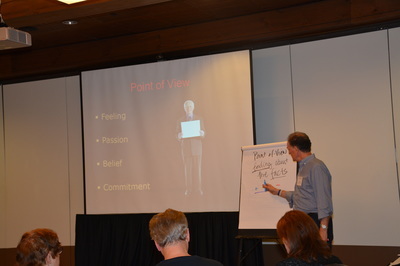 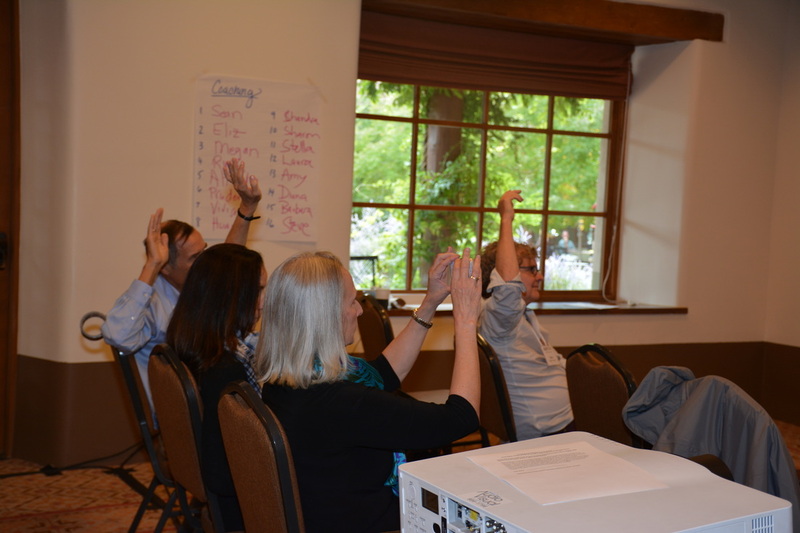 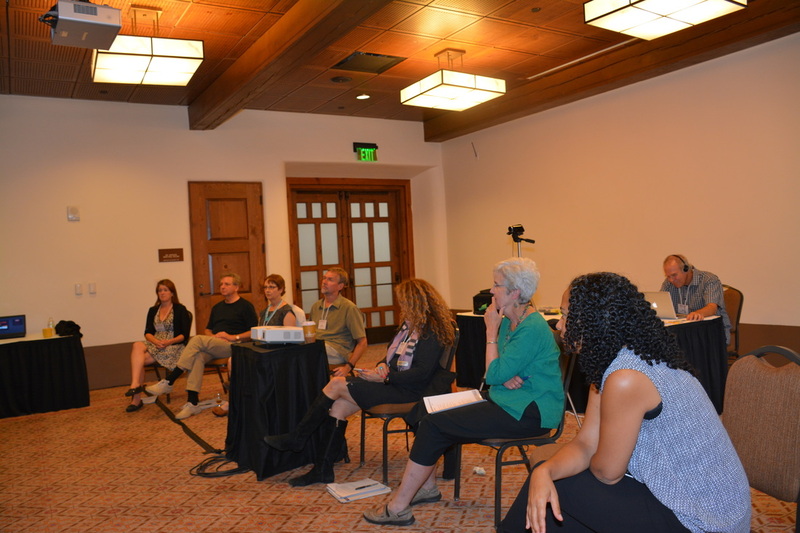 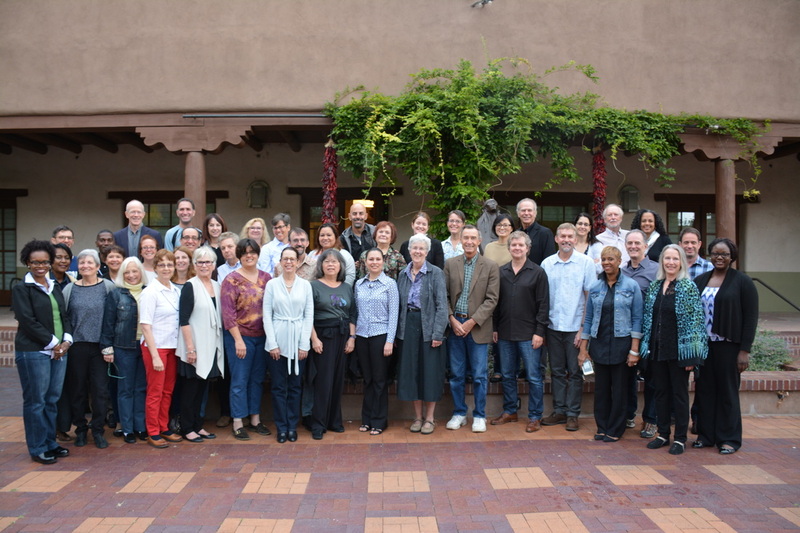 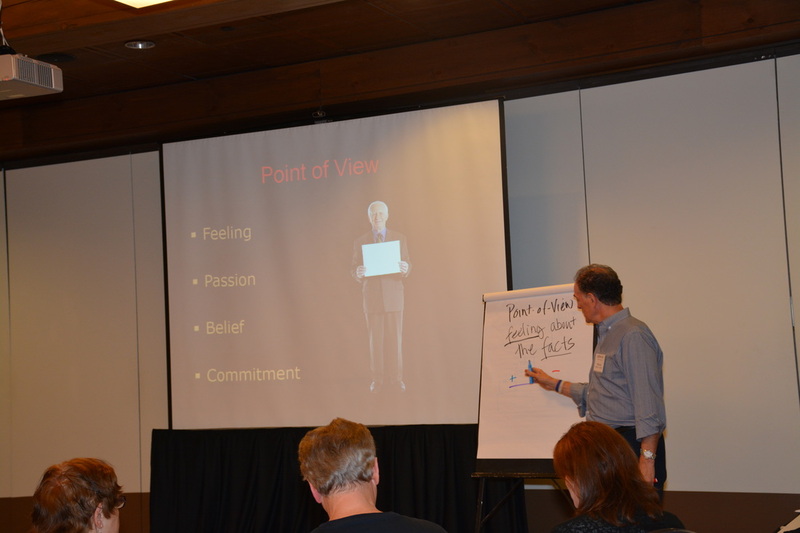 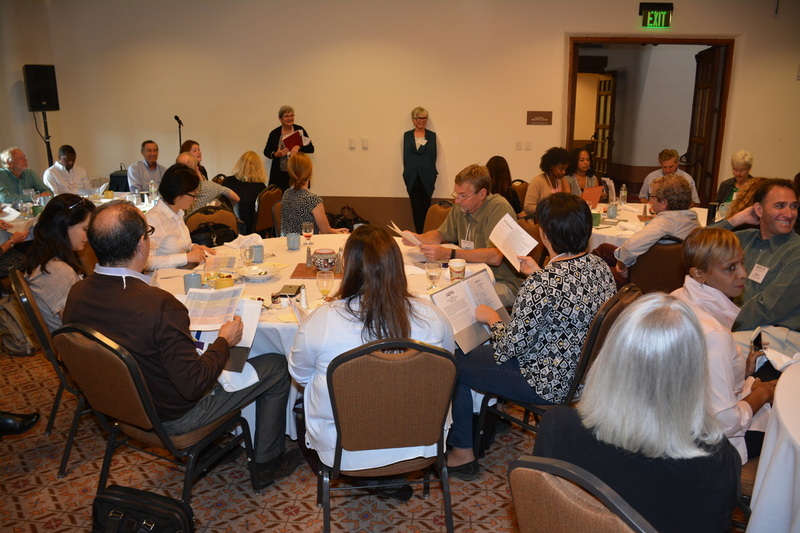 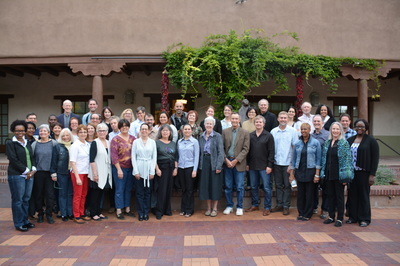 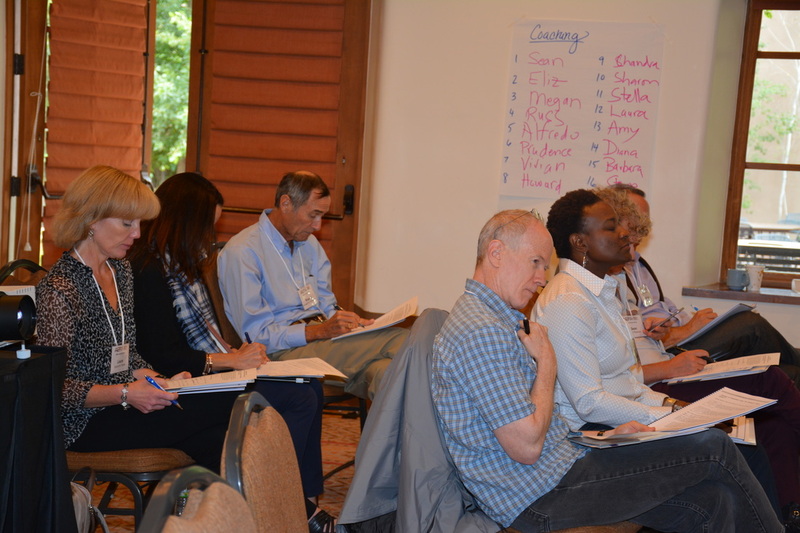 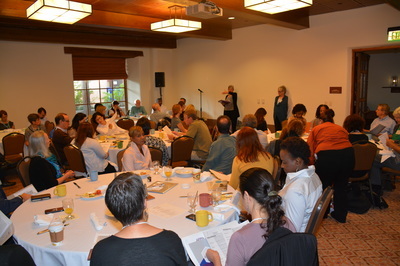 The Scholars Retreat took place in Santa Fe, New Mexico on October 1-4, 2015, and consisted of two elements. 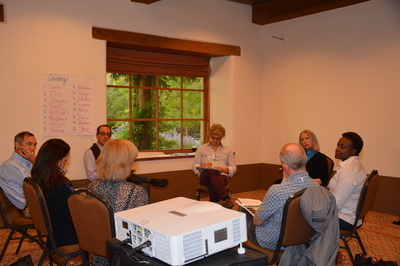 First, it provided a valuable opportunity for extensive exchange of ideas across arenas of scholarship to strengthen the substantive design of the Forum plan. 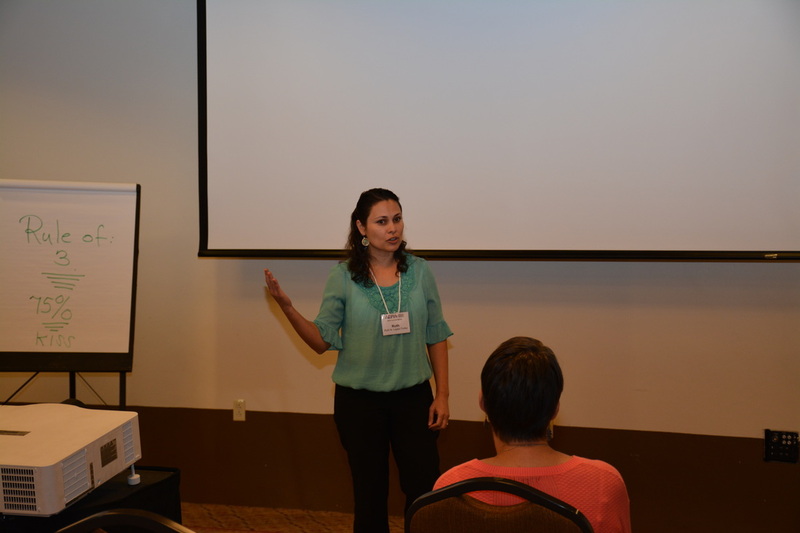 Second, it provided scholars with communications training to hone their presentation skills, including developing a TED-like talk. Felice J. Levine (AERA Executive Director) kicks off the scholars retreat weekend. 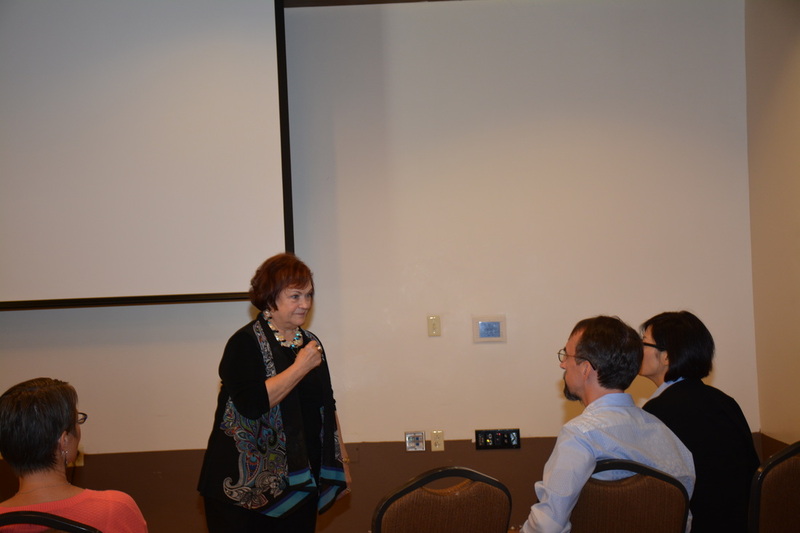 Felice J. Levine (AERA Executive Director) explaining the vision for the Knoweldge Forum. 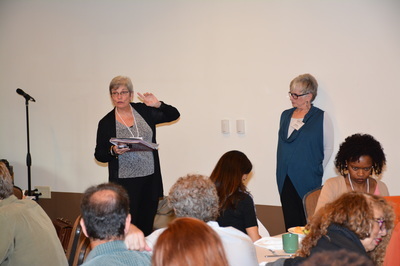 Felice J. Levine (AERA Executive Director) and Jeannie Oakes (AERA President) explaining the vision for the Knoweldge Forum. 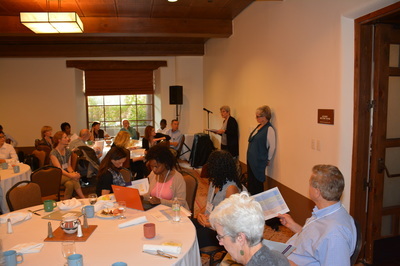 Jeannie Oakes (AERA President) addresses the scholars. 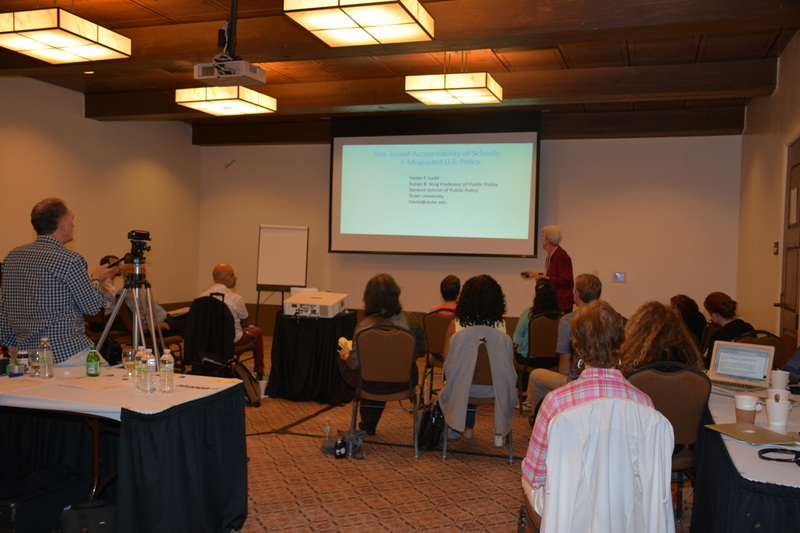 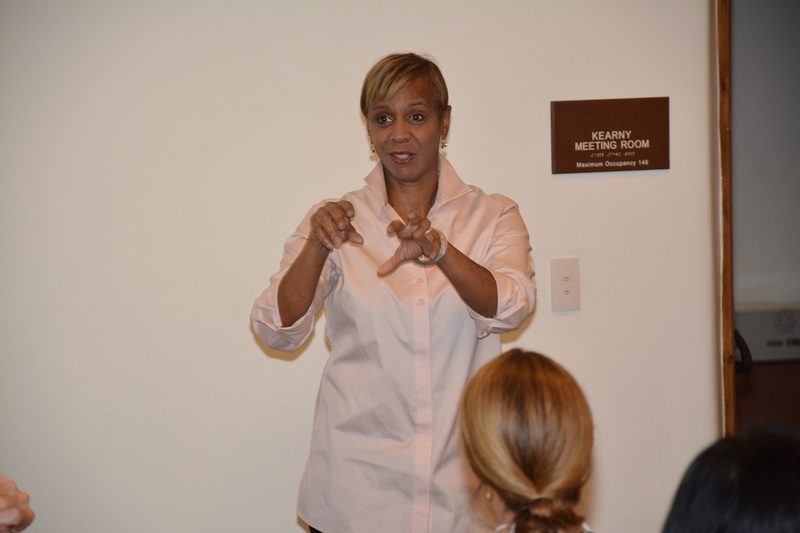 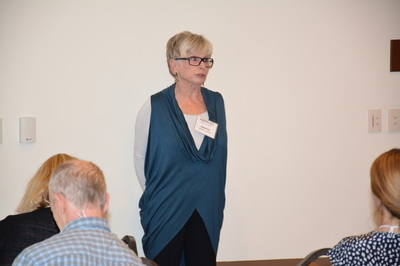 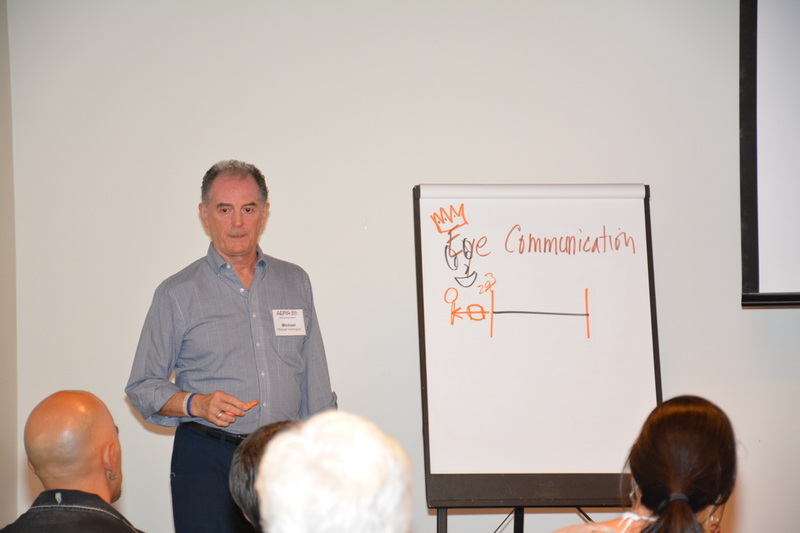 Denise Harrington (DMH Consulting) shares her insights on effective presenation practices. 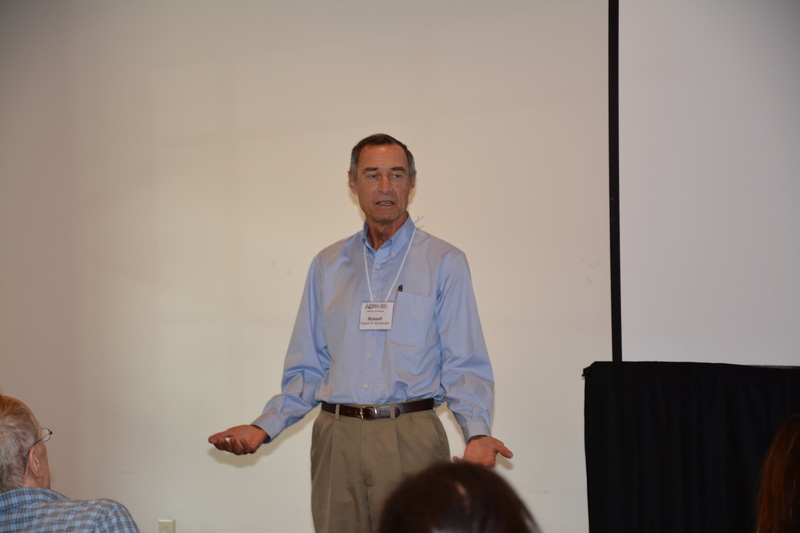 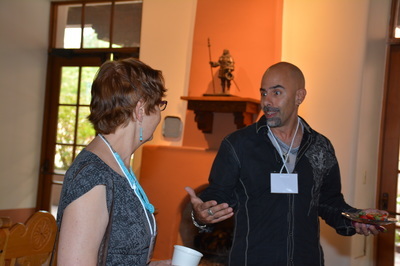 Russel Rumberger (University of California - Santa Barbara) practices his Ed Talk. 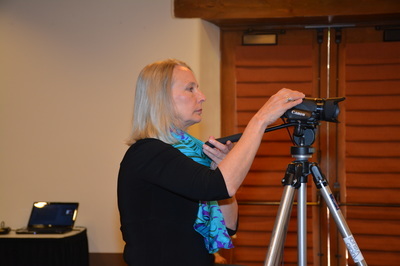 Video is recorded during the practice Ed Talks to help the scholars improve their presentation style. 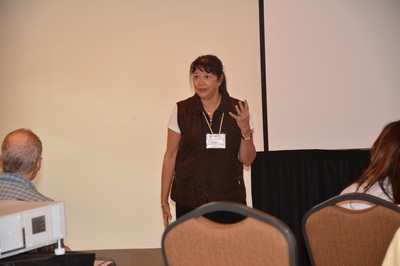 Sharon Nelson-Barber (WestEd) practices her Ed Talk. Scholars and AERA Staff discuss ways to effectively communicate research. 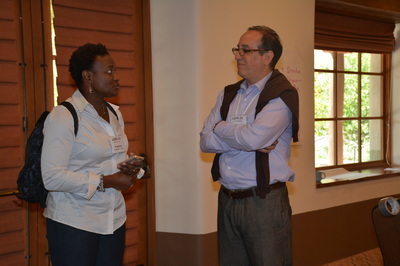 Prudence Carter (Stanford) and Alfredo Artiles (Arizona State University) chatting during the Scholars Retreat. 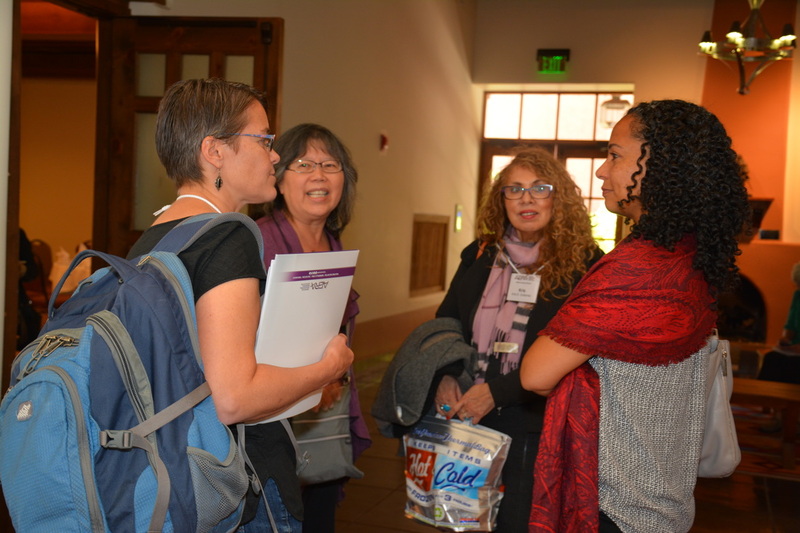 Kara Finnigan (University of Rochester), Micki Chi (Arizona State University), Kris Gutierrez (University of California - Berkeley), and Na'ilah Nasir (University of California -Berkely) chat during the Scholars Retreat. 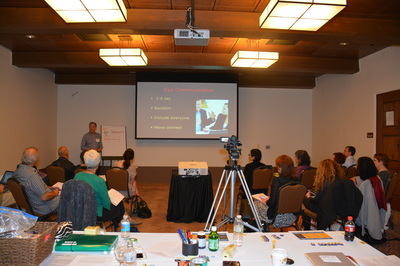 Scholars participating in communications training during the Scholars Retreat. 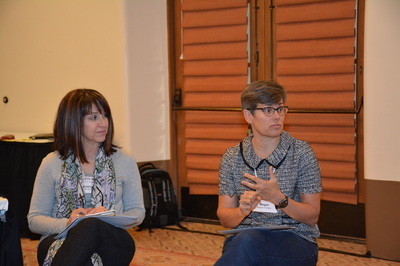 Barbara Rogoff (Univeristy of California - Santa Cruz) and Sasha Barab (Arizona State University) converse during the Scholars Retreat. 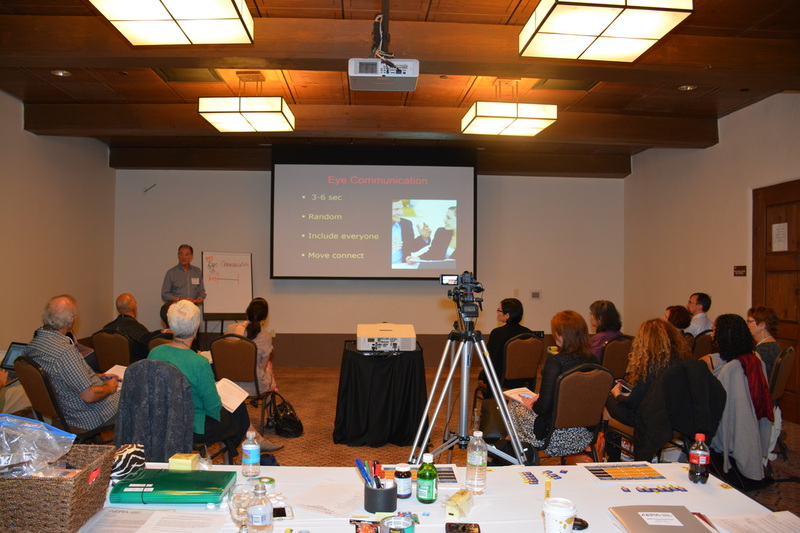 Scholars receiving training on effective communications strategies. 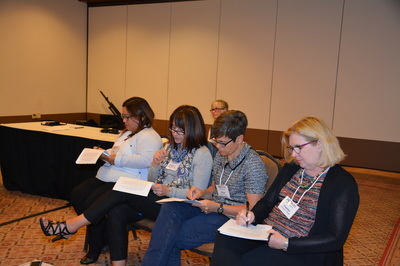 Stella Flores (New York University), Elizabeth Moje (University of Michigan), Megan Franke (University of California - Los Angeles), and Chandra Muller (University of Texas - Austin) taking notes during communications training. Scholars taking notes on effective communication strategies. Scholars engaged in discussion during communications training. 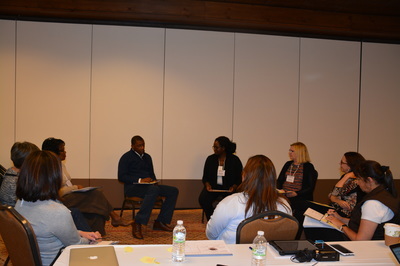 Scholars discussing what they learned during their training. 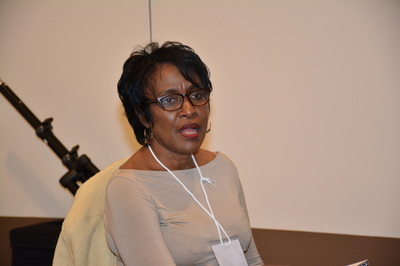 Vivian L. Gadsden (University of Pennsylvania) shares her thoughts during the Scholars Retreat. 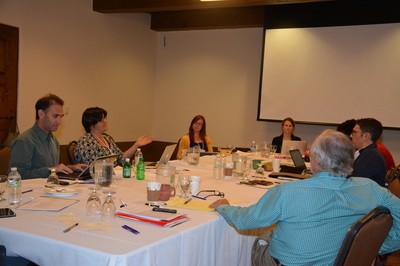 Megan Franke (University of California - Los Angeles) engaged in discussion during the Scholars Retreat. 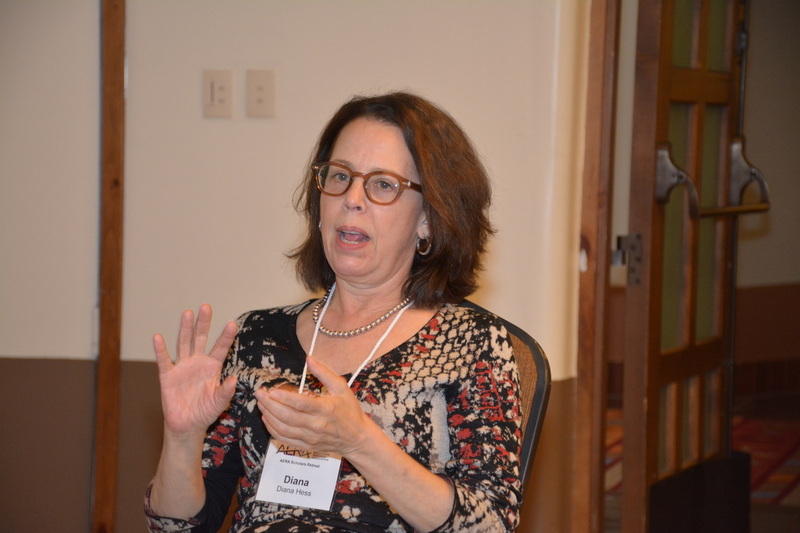 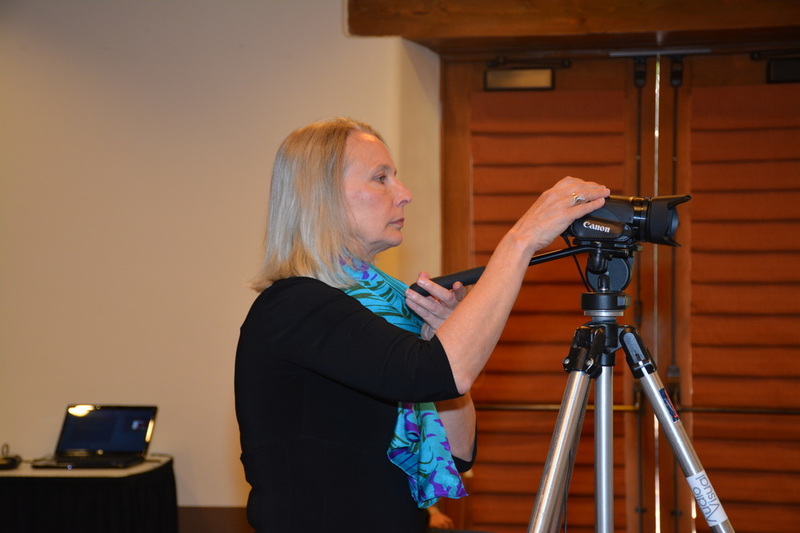 Diana Hess (University of Wisconsin - Madison) speaks during communications training. Ruth Lopez Turley (Rice University) practicing her Ed Talk. 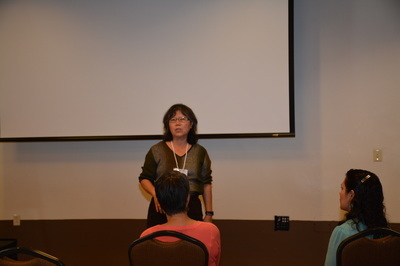 Micki Chi (Arizona State University) practices her Ed Talk. 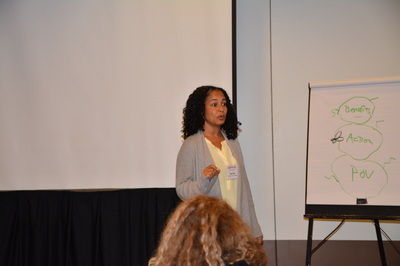 Patricia Alexander (University of Maryland - College Park) practices her Ed Talk. 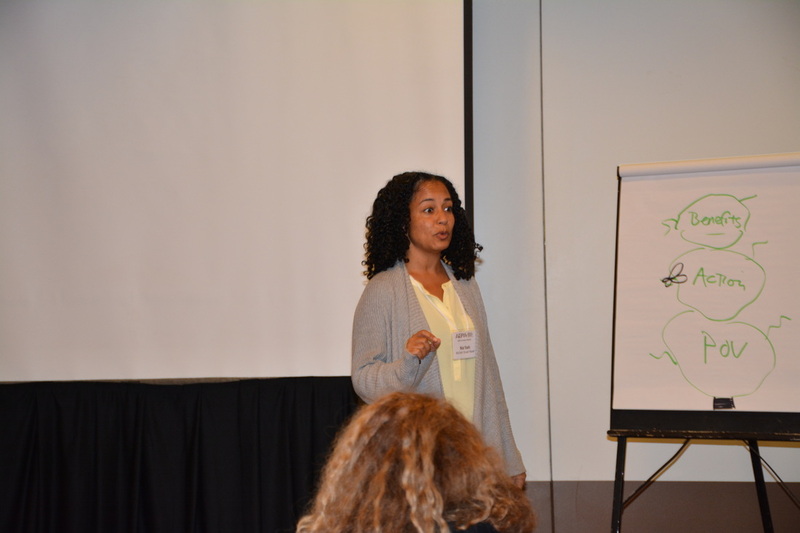 Na'ilah Nasir (University of California - Berkeley) practices her Ed Talk. Helen "Sunny" Ladd (Duke University) practices her Ed Talk.